"This is a powerful, vitally important story, and Lane brings it to life with not only vast amounts of research but with a remarkable gift for storytelling that makes the pages fly by." --Candice Millard, author of The River of Doubt and Hero of the EmpireFreedom's Detective reveals the untold story of the Reconstruction-era United States Secret Service and their battle against the Ku Klux Klan, through the career of its controversial chief, Hiram C. WhitleyIn the years following the Civil War, a new battle began. Newly freed African American men had gained their voting rights and would soon have a chance to transform Southern politics. Former Confederates and other white supremacists mobilized to stop them. Thus, the KKK was born.After the first political assassination carried out by the Klan, Washington power brokers looked for help in breaking the growing movement. They found it in Hiram C. Whitley. He became head of the Secret Service, which had previously focused on catching counterfeiters and was at the time the government's only intelligence organization. Whitley and his agents led the covert war against the nascent KKK and were the first to use undercover work in mass crime--what we now call terrorism--investigations.Like many spymasters before and since, Whitley also had a dark side. 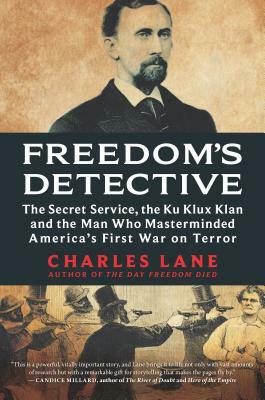 His penchant for skulduggery and dirty tricks ultimately led to his involvement in a conspiracy that would bring an end to his career and transform the Secret Service.Populated by intriguing historical characters--from President Grant to brave Southerners, both black and white, who stood up to the Klan--and told in a brisk narrative style, Freedom's Detective reveals the story of this complex hero and his central role in a long-lost chapter of American history.